Gypsy Jazz and World Grooves! 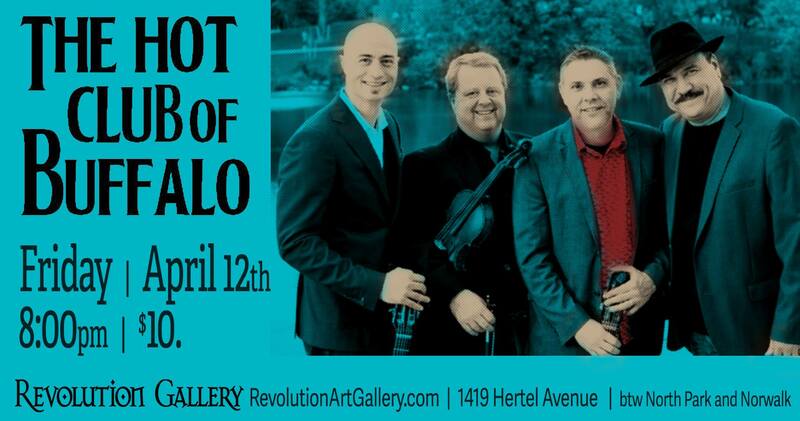 Join us for a live performance by The Hot Club of Buffalo, this Friday night April 12th playing the Side Stage at Revolution Gallery for a swinging good time with two sets of live gypsy jazz! Great art, drinks and music!